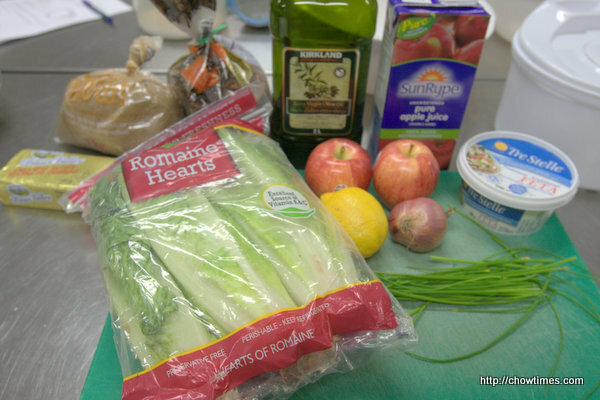 The South Arm Older Adults Cooking Club celebrated Earth Day with a vegetarian menu. 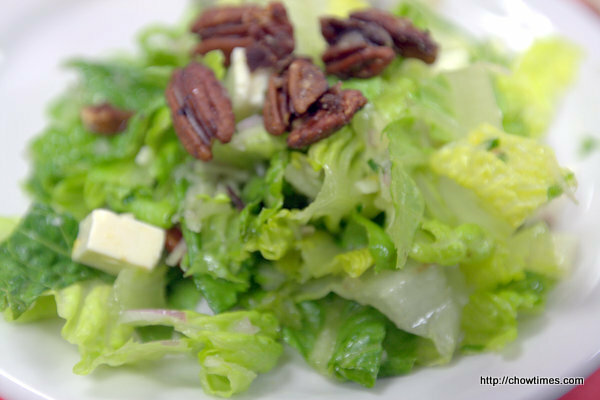 Michelle, the facilitator shared an Apple Romaine Salad with Candied Pecans from food.com. Our boys wish is granted, Vietnamese dinner. 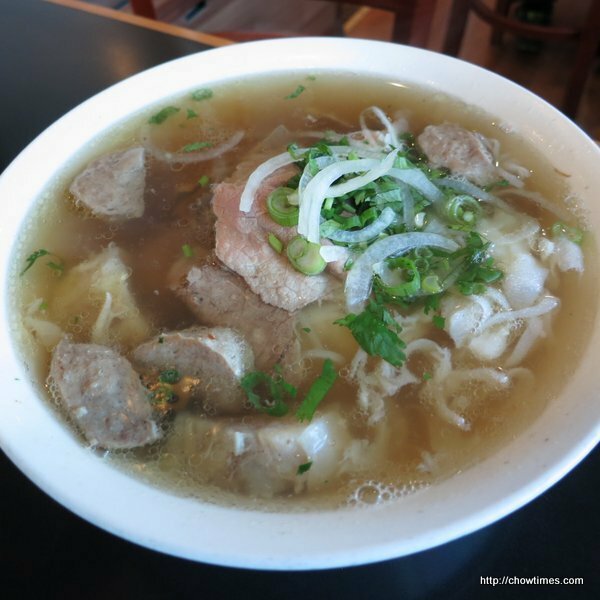 We debated whether to go to Green Lemongrass, Pho Lan or Thai Son. I voted for Thai Son because we have not been back to this restaurant for a long time. 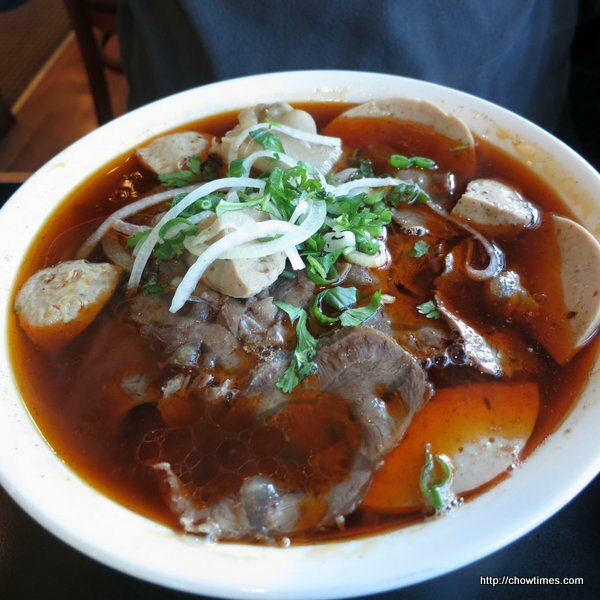 Ben ordered his favourite Bun Bo Hue which is also Thai Son signature dish. Large is $8.50. Just to see how much prices for eating out has increase; the same dish was $6.50 in 2008. April is Ben’s birthday. We celebrated his birthday on a belated date because he was busy at work. The birthday boy picked sichuan although Arkensen wanted Vietnamese. The birthday boy said he can over rule everybody. We had dinner at New Spicy Chili Restaurant. The birthday boy also picked all the dishes. 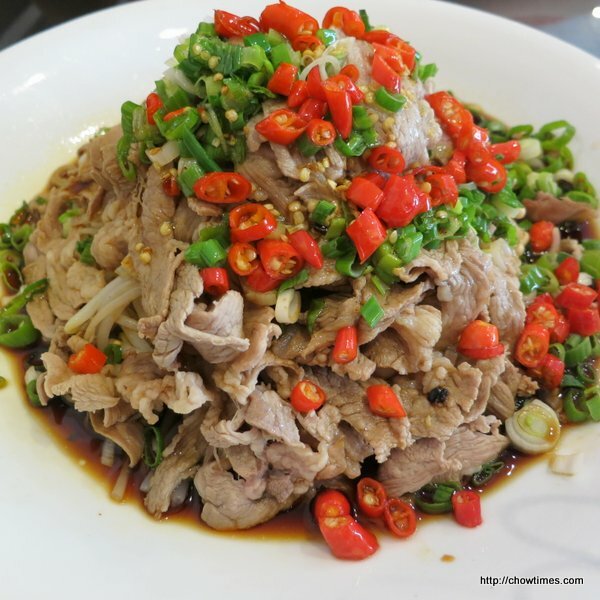 The above is a Fresh Chili Lamb dish. There is option for beef but lamb is our favourite meat. This is $18.99. It was very spicy with the generous amount of Thai chili. 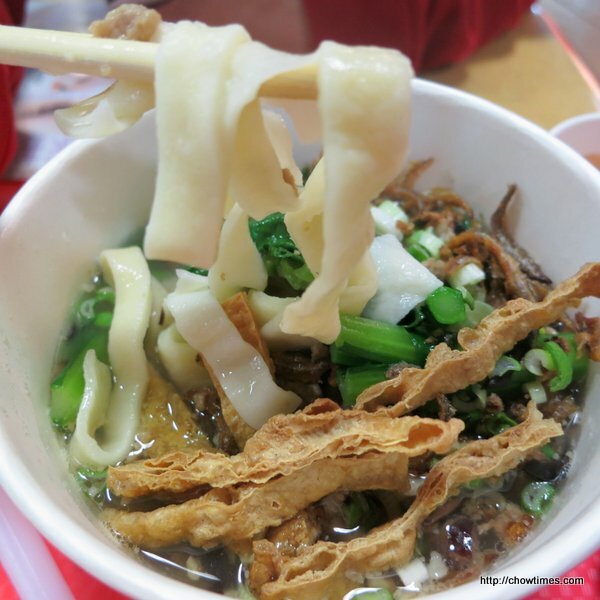 The lamb slices sat on top of a pile of bean sprouts and enoki mushrooms. This is the best dish of the whole meal. 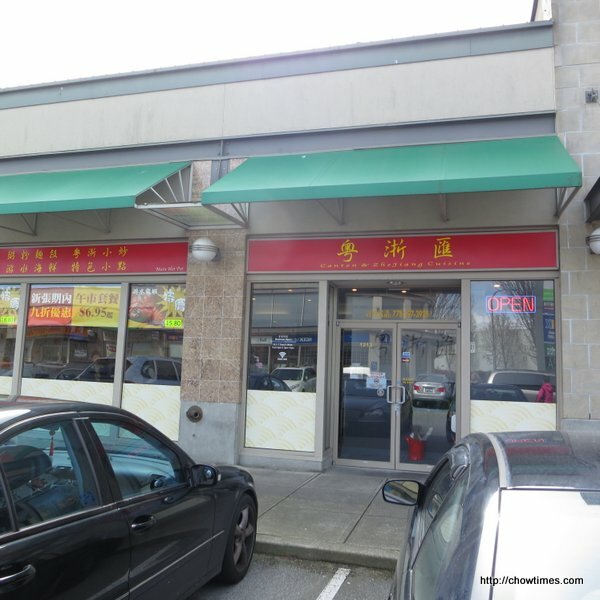 Ben and I drove around Capstan Way looking for a place to have lunch after groceries shopping at Costco. 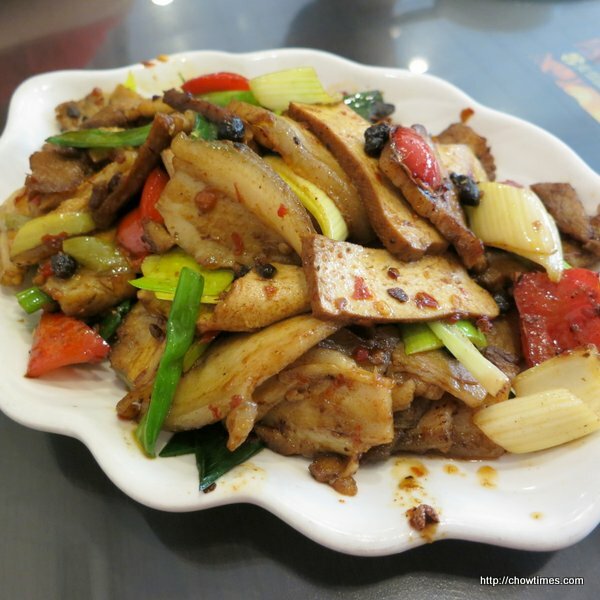 We found a new restaurant by the name Canton & Zhejiang Cuisine. So, without a doubt we gave it a try. 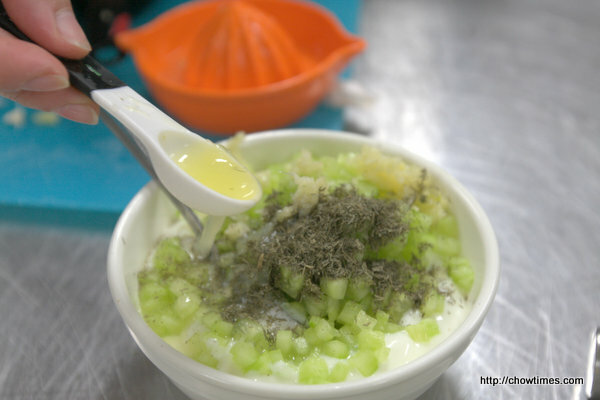 Canton & Zhejiang Cuisine has taken over the East Fusion Food which was in business not long. 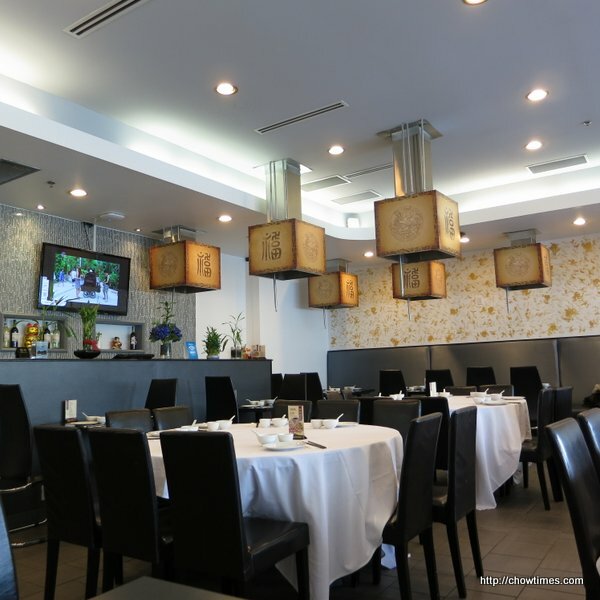 The exhaust pipe for hot pot (previous owner before East Fusion Food) are covered up with Chinese decor now. 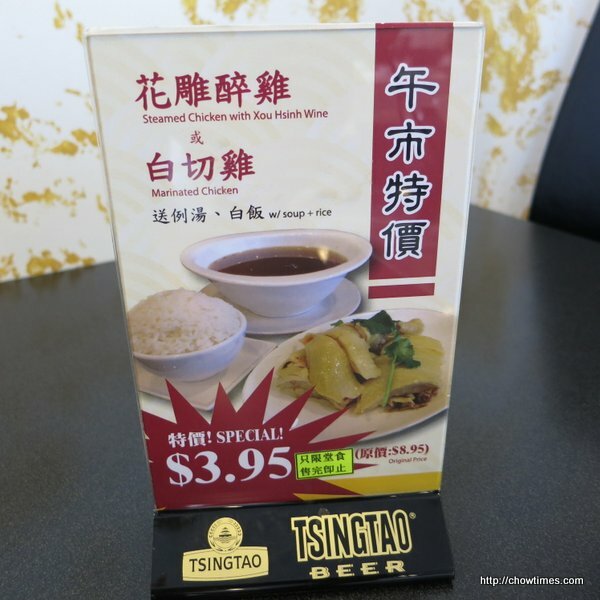 Upon seated down, we noticed a promotional item on the table; Chicken, rice and soup for $3.95. 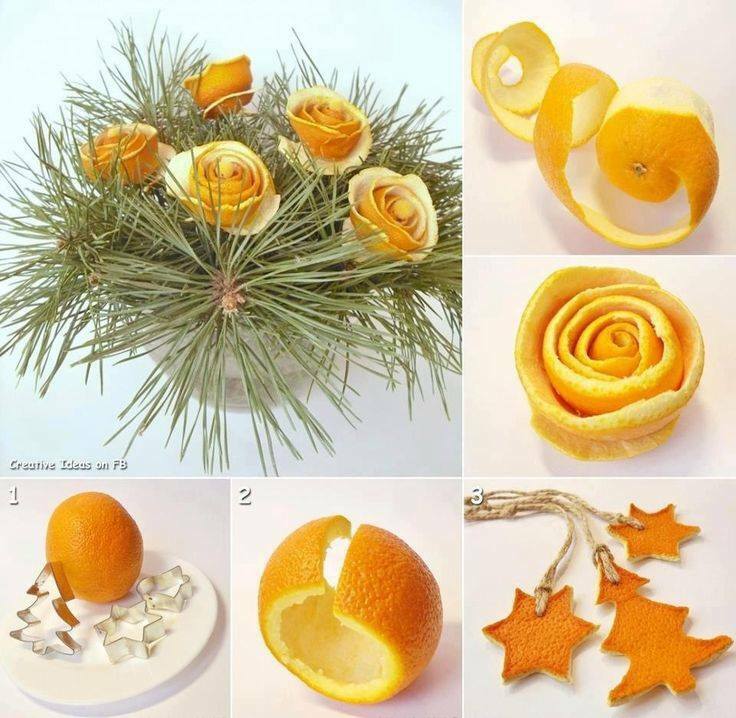 Of course we would love to try this. Arkensen needed us to drop him at school to return a lot of library books and to complete one of his lab work with his partner. After dropping him off, Ben decided to go to Crystal Court for lunch. 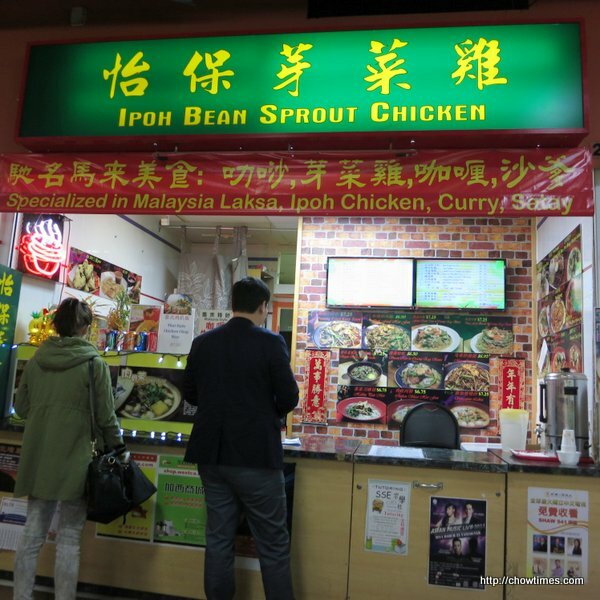 Finally, I got the chance to try the Ipoh Bean Sprout Chicken stall. At previous visit to this food court, there was no tables available. It was not easy to get a table this time but we managed to find one. 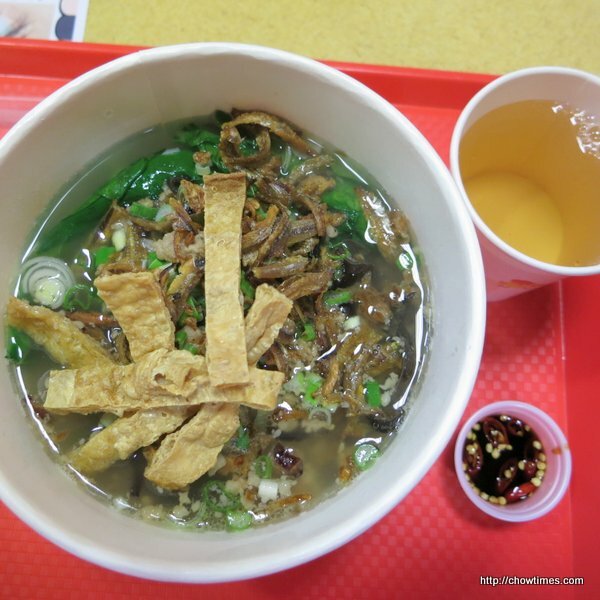 I ordered the Hakka Pan Mee which is handmade noodle with ground pork, fried anchovies, shiitake mushroom and some fried tofu skin. 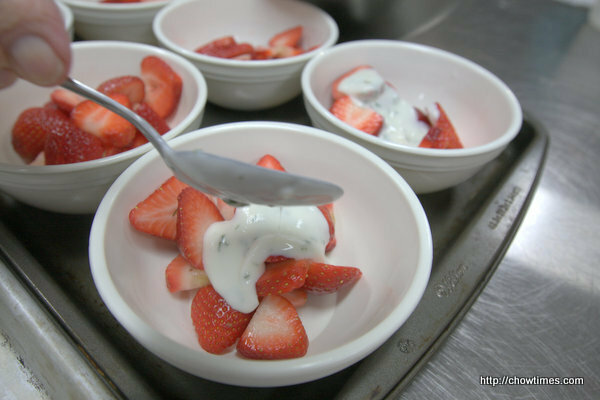 For the heart smart theme meal, Michelle shared Strawberries with Minted Yogurt as dessert. 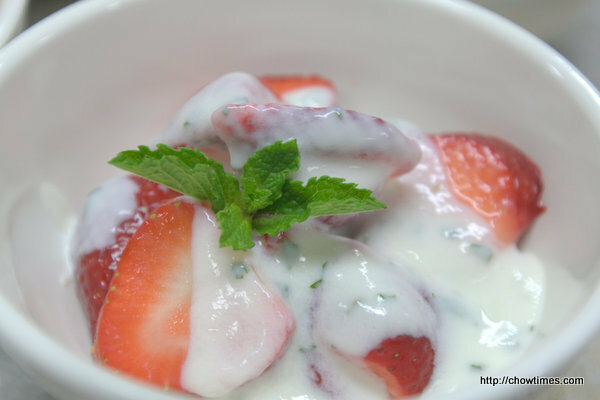 This tangy, mint-infused yogurt makes a refreshing topping for fresh summer strawberries. 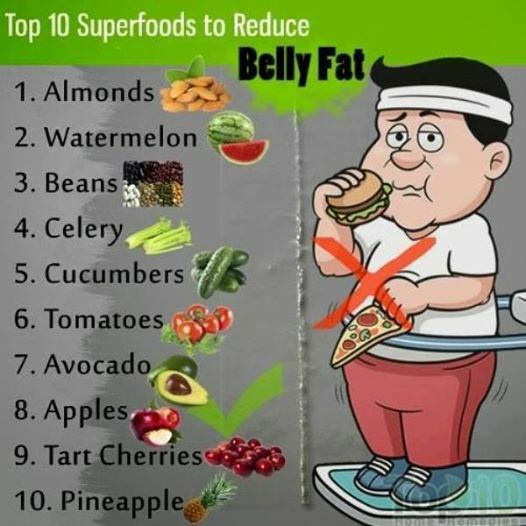 Strawberries boast fiber, have more Vitamin C than any other berry. 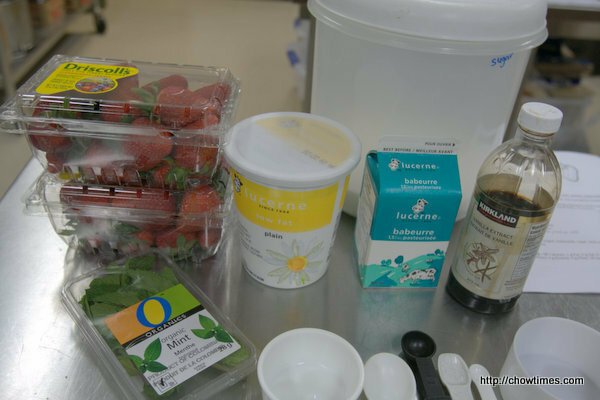 1 cup of fresh whole strawberries has a respectable 35 micrograms of folate, the powerful Vitamin B that creates normal red blood cells and is crucial for prenatal development. The anthocyanidins found in these ruby mouthfuls also help protect against heart disease. 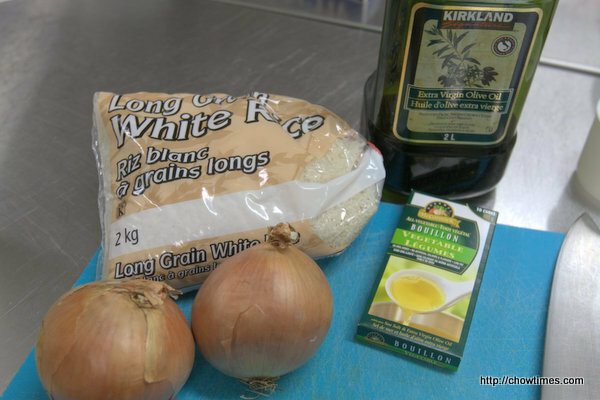 To complete the Greek meal, Michelle shared a simple Rice Pilaf recipe in the South Arm Older Adults Cooking Club. 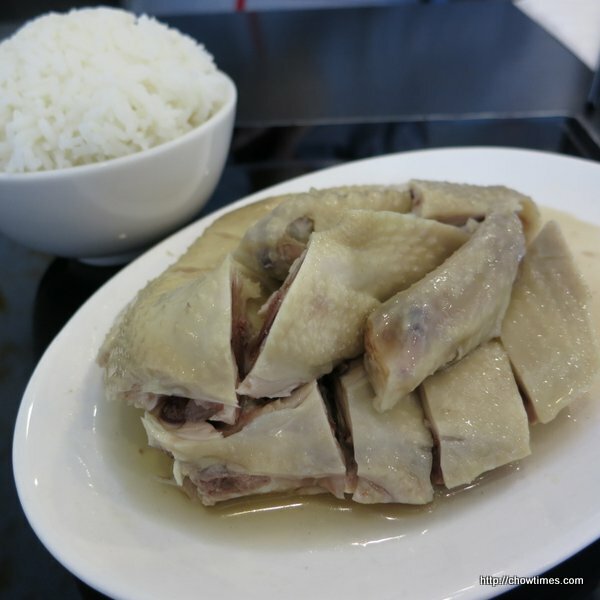 Give plain rice a kick by adding a little chopped onion and chicken broth. Stir in some fresh herbs before serving adds extra flavour to the Rice Pilaf. 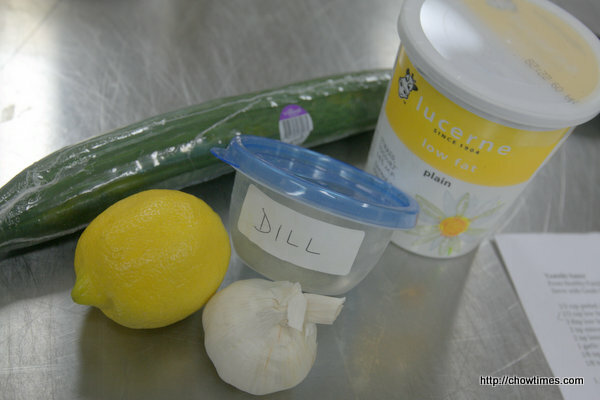 The South Arm Older Adults Cooking Club made a Tzatziki Sauce for the Greek theme meal. 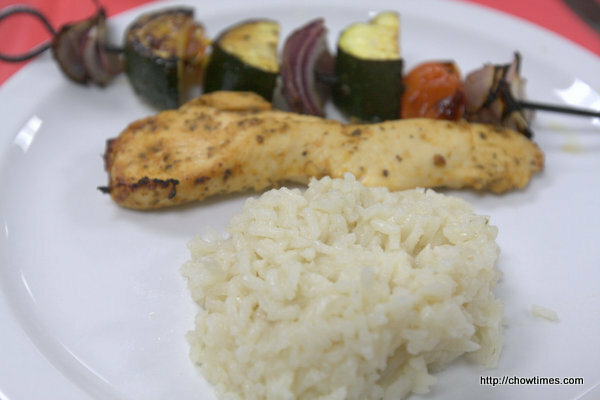 Tzatziki sauce is a great with the Greek Chicken or pita chips.